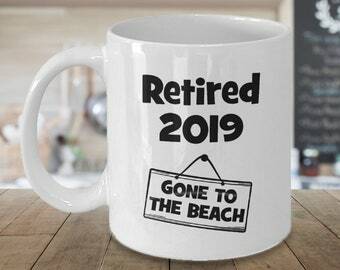 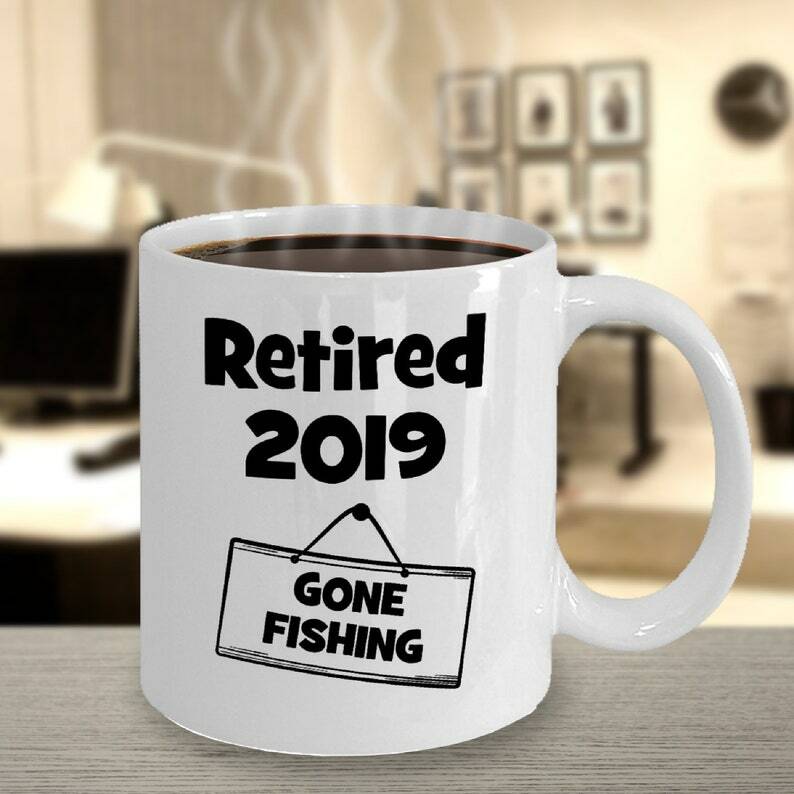 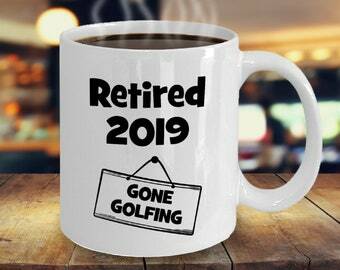 Our "Retired 2019 - Gone Fishing" coffee mug is a funny retirement gift or leaving present for men and women everywhere who are leaving the workforce to enjoy a retired life and fish! Retirement is a time for fun and celebration. 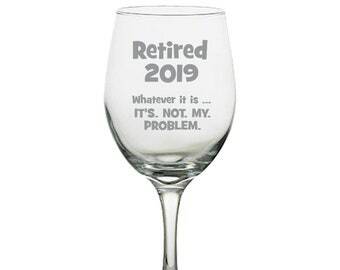 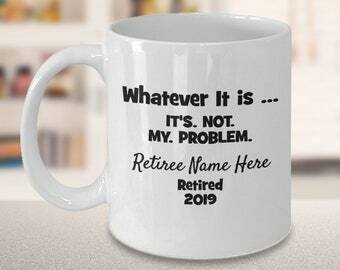 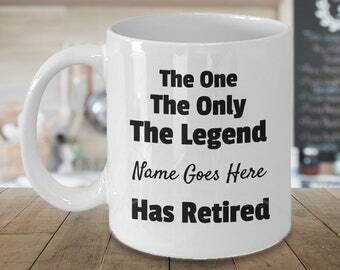 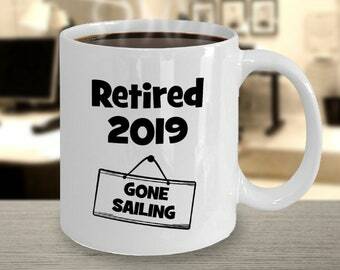 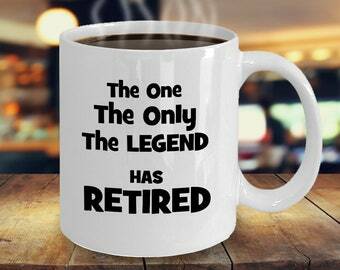 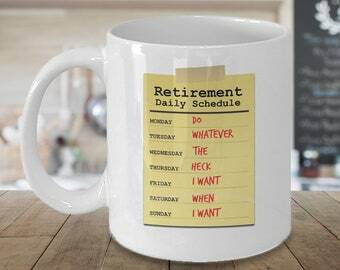 Make your retiree smile with this mug.